Our 2019 Holiday Prices have been uploaded. 2018 was a great narrow boat season – the weather was hot, too hot sometimes and we have had little rain! Now, at the end of the season, rain is what we want. 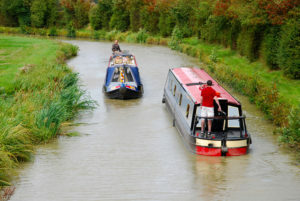 The reservoirs on the Oxford Canal need topping up for next year as we do not want any water shortages. It is a great time to have a narrow boat holiday, pubs are really great along the canal and there are are some wonderful stops. Explore Blenheim Palace, Warwick castle, National Trust Properties or explore the ‘dreamy spires of Oxford’. So, to ensure you can book your holiday for 2019 make sure you reserve your week(s) soonest. Book before 31st December 2018 and benefit with a 5% discount – That”s a meal for two along they way!! We look forward to welcoming you on-board in 2019.